A six-time VCCA Fellow, Nick DiGiovanni was a fiction writer, essayist, award-winning journalist, blogger and teacher of creative writing. He died on July 13, 2018.His last residency at VCCA was in February 2018.We were happy that he was able to be with us one last time.A collection of essays titled "Man Has Premonition of Own Death," inspired by an ancestor's death in the 1920s and DiGiovanni's own unexpected encounter with serious illness, was published in 2017 by Blue Heron Book Works. His novella “Rip,” a modern-day parody of Washington Irving’s “Rip Van Winkle,” was published in 2011 by Black Angel Press. 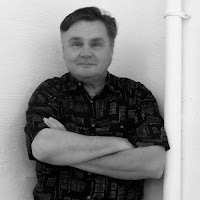 He was one of the writers included in “Songs of Ourselves,” the anthology published by Blue Heron Book Works in 2015. VCCA has partnerships with five international residencies, including Oberpfälzer Künstlerhaus. Each year, VCCA sends two visual artists, one writer, and one composer for a six-week residency (June-mid-July) to the town of Schwandorf in southern Germany. Fellows are housed in the Künstlerhaus, which features private rooms, a shared living area, and kitchen. 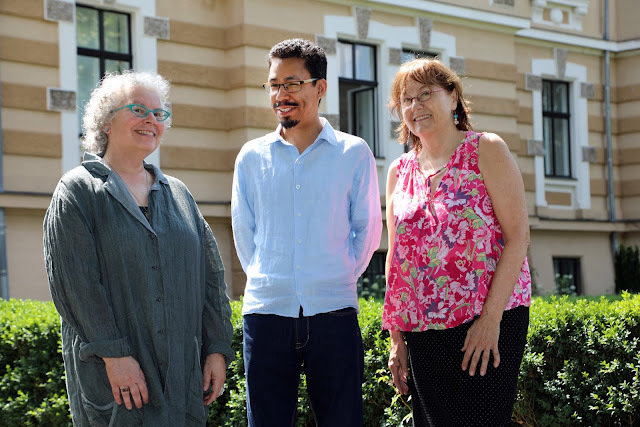 The four Fellows in Schwandorf this summer, writer Judith Cooper, composer Iván Ferrer-Orozco, painter Olive Ayhens, and photographer Tucker Hollinsworth were featured at the Oberpfälzer Künstlerhaus Open Studios Day. Read more about them. A beloved sculpture that stands in the VCCA Studio Barn recently sparked a fact-finding mission that ended with a surprising revelation. At almost 8 feet tall, the large, totem-like sculpture of a barn owl quietly stands sentry at an intersection in the Studio Barn Complex. 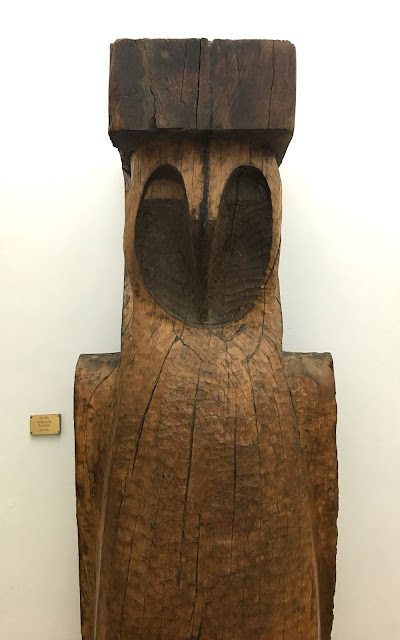 Next to it, a brass plaque reads, "THE OWL, Blanche Dombek, 1953-1954, Paris, France." How did a sculpture this large created in 1953 in Paris land here at VCCA, which was founded almost 20 years later and didn’t put down roots at Mt. San Angelo until 1977? Had Dombek been a Fellow? How did this massive piece get here? Blanche Dombek had four long residencies at VCCA in the 1980s. The only information listed in the VCCA database is that The Owl was donated by Dombek in 1984, over 30 years after its creation in Paris.